Xiaomi Pocophone F1 Full Review - Is article me Xiaomi Pocophone F1 ka Full Review karenge, Xiaomi Pocophone F1 online price in Pakistan Rs.54,999 hai and Price in India Rs.20,999 hai. Xiaomi Pocophone F1 ki Build Quality average hai, InFact is mobile phone ko first time hold karne me lagta hai ke ye mobile Low Build Quality ka hai B'coz Xiaomi Pocophone F1 me overall build quality plastic ki hai. Xiaomi Pocophone F1 me plastic use karne ka reason yahi hai ke Xiaomi is mobile phone me ziyada internals ko push karna chahti thi with low price, that's why build quality average hai. Xiaomi Pocophone F1 ki backside par dual Camera setup milta hai, And dual Camera setup ke exact neeche Fingerprint scanner milta hai or Xiaomi Pocophone F1 ka Fingerprint scanner kafi fast perform karta hai. Xiaomi Pocophone F1 ki front side par 1 Notch milti hai or almost 6 inches ka display hai, Xiaomi Pocophone F1 ka FHD+ display hai or iski resolution kafi better hai, but overall display ke colours ziyada better nahi hain as compare to Flagship phones. Xiaomi Pocophone F1 me Snapdragon 845 ka processor milta hai with 6GB and 128 GB Internal Storage, That's why Xiaomi Pocophone F1 performance me amazing hai. Also Xiaomi Pocophone F1 me koi bhi Game run karte hain to ye mobile wo maximum performance provide karta hai jo kisi bhi Android phone se expect karte hain. Xiaomi Pocophone F1 me backside par dual Camera setup milta hai, 1st Camera 12 Megapixels ka hai or 2nd Camera 5 Megapixels ka hai. Xiaomi Pocophone F1 ke backside 12 Megapixels ka primary sensor better quality images provide karta hai as compare to mid-range mobile phones, but as a Flagship phone iska Camera normal hai. Ye Camera 4K video recording ko support karta hai or 240 fps bhi available hai, And also Image Stablization bhi electronically milti hai, Overall Xiaomi Pocophone F1 ka back Camera solid performance deta hai. Xiaomi Pocophone F1 ki front side par 20 Megapixels ka Camera milta hai, or front Camera me interesting baat ye hai ke front Camera ke saath 'IR Blaster' milta hai. IR Blaste ka matlab ye hai ke Xiaomi Pocophone F1 Camera ke through Face ID bhi provide karega or IR Blaster se wo kafi secure hogi, Also Night time ke use karne me koi problem nahi hogi. Xiaomi Pocophone F1 ki Battery kafi solid hai, 4000 mAh ki Battery milti hai or saath me Qualcomm Quick charge 3 ki support bhi milti hai, USB type C hai box me jo charger ata hai wo bhi Fast charge ko support karta hai. Overall Xiaomi Pocophone F1 kafi solid performer device hai, Xiaomi Pocophone F1 ki 4000 mAh Battery or 128GB Internal Storage amazing hai but Pakistan me Xiaomi Pocophone F1 se better choice bhi hai. 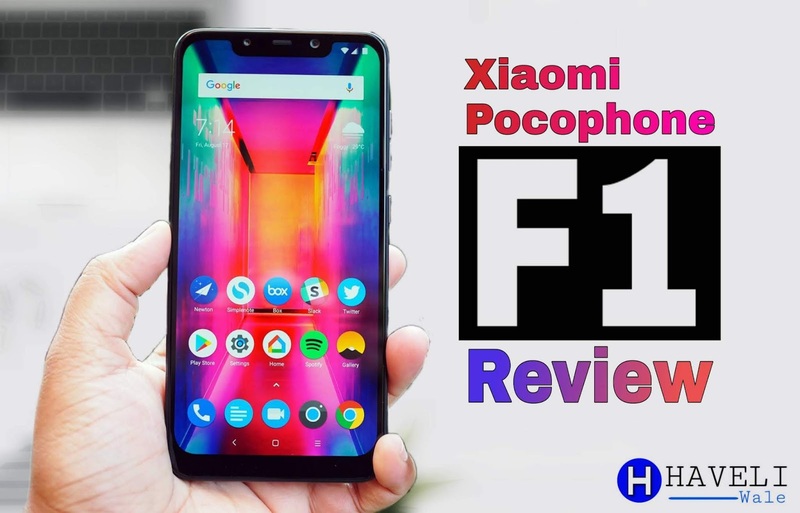 Hopefully apko Xiaomi Pocophone F1 Full Review pasand aya hoga and also Xiaomi Pocophone F1 ke Price & Specifications related kuch information mil gai hogi.